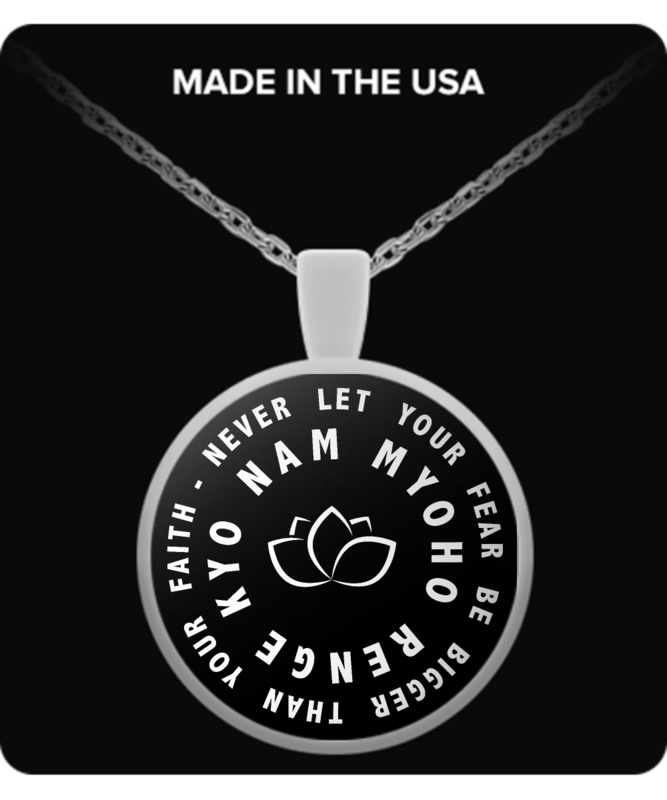 Nam-Myoho-Renge-Kyo is the vibration of everything, the mirror to both the soul and the Universe. It explains how the entire nature is interdependent and interconnected. maybe you can better crimp the 2017 ones! I felt sorry because I loved my necklace! This necklace was...absolutely beautiful! It was a birthday present for my daughter who just loves it and wears it daily. Exceptional work! Thanks!!! I love this necklace. It is one of a kind which makes it special.